Before we had internet, digital cameras, and cd’s filled with our precious videos and photos, there were plain old books, boxes, and framed sentiments. As children grow up, and people we love pass on, I think it’s important to have reminders around of times gone by. It has a way of putting perspective on life in general. 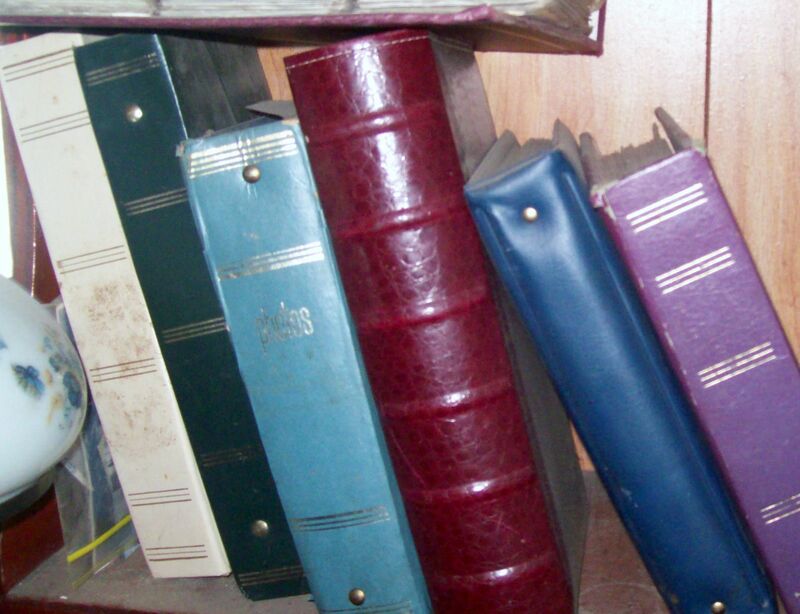 Here are some common, albeit old-fashioned ways that memories have been preserved for my family. I made this with my kids nearly 16 years ago. 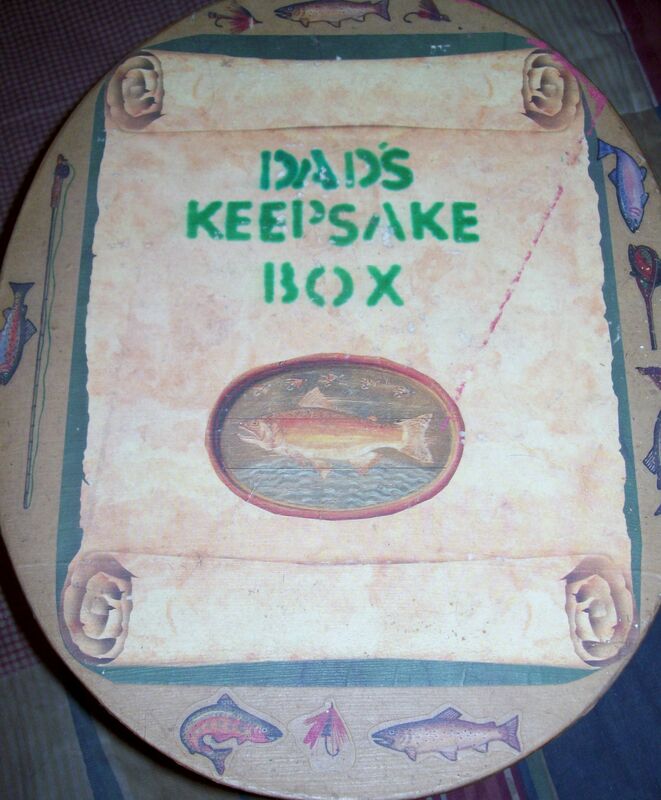 It is a simple rounded hat box with stencils and decoupage. The kids did handprints on the sides. He has it filled with father’s day and birthday cards. 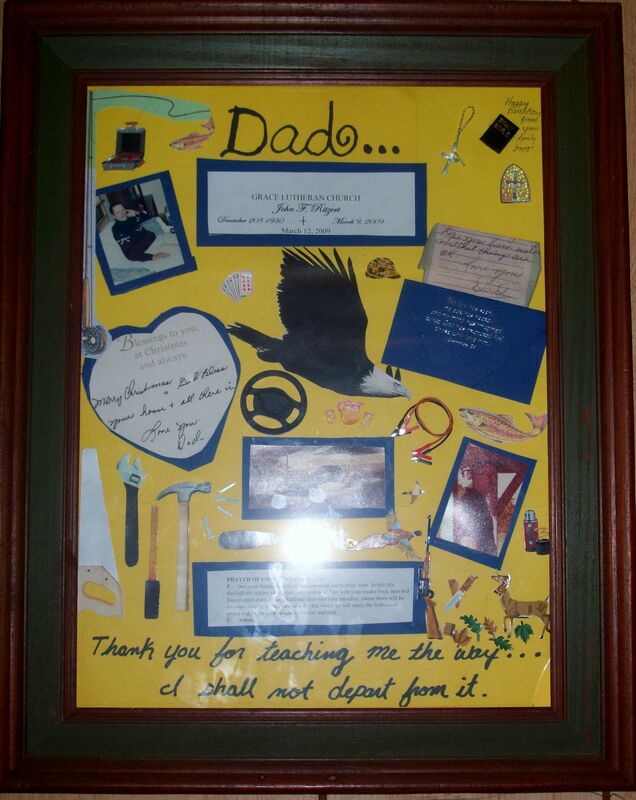 There is daddy-daughter dance photos, school play pamphlets, and more. The box is brimming with memories! The old school photo album. It’s nice to take one out once in a while and thumb through the old pictures. They are not digitally enhanced, auto-corrected, or shining brightly on a large flat screen monitor. They are simply placed in a book to sit closely with someone you love to turn the pages together! 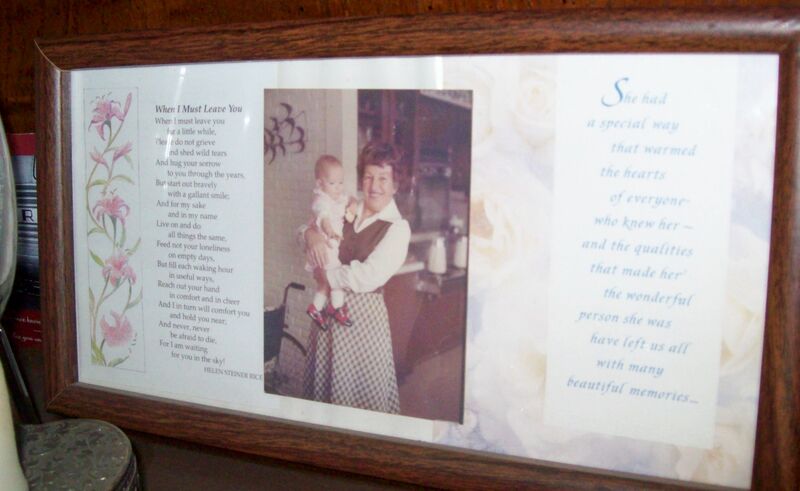 Framed scrapbook-type pages. These were put together just because I wanted to have a hanging reminder of people we were close to. They are not perfect or even all that attractive of a wall hanging. But they are special because of what they represent. No fancy computer lettering or graphics here! Remember these? The old-fashioned baby book. Most new moms I know today rely solely on disk after disk of baby memories. Those are great! But sometimes its neat to page through a book too! Shoe boxes. 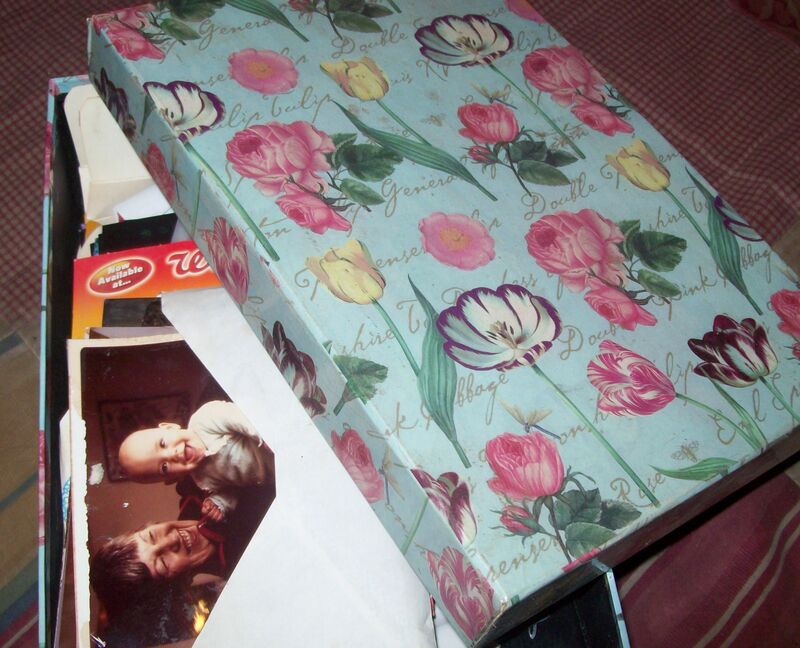 Plain old shoe boxes decorated with pretty wrapping paper for holding lots of miscellaneous old photos. These can actually look quite nice stacked on a shelf! 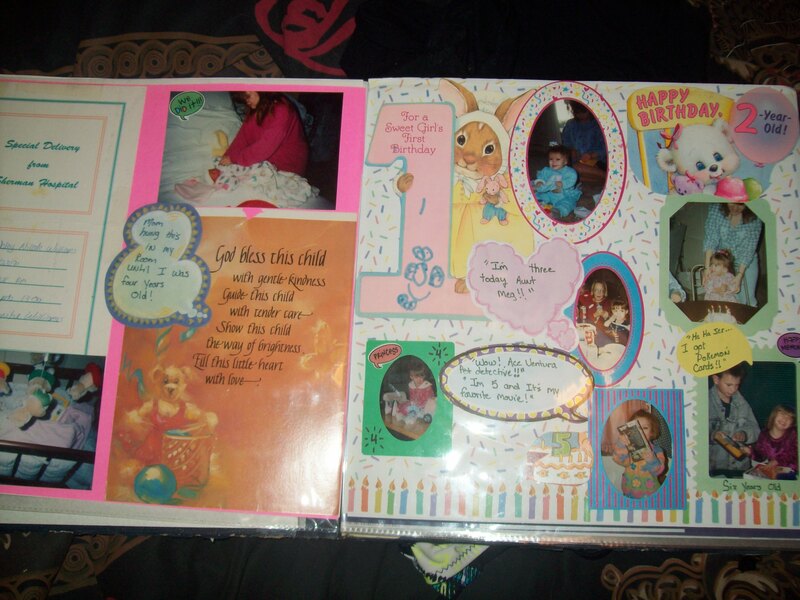 Scrapbooks are still popular. They are so much fun to create. 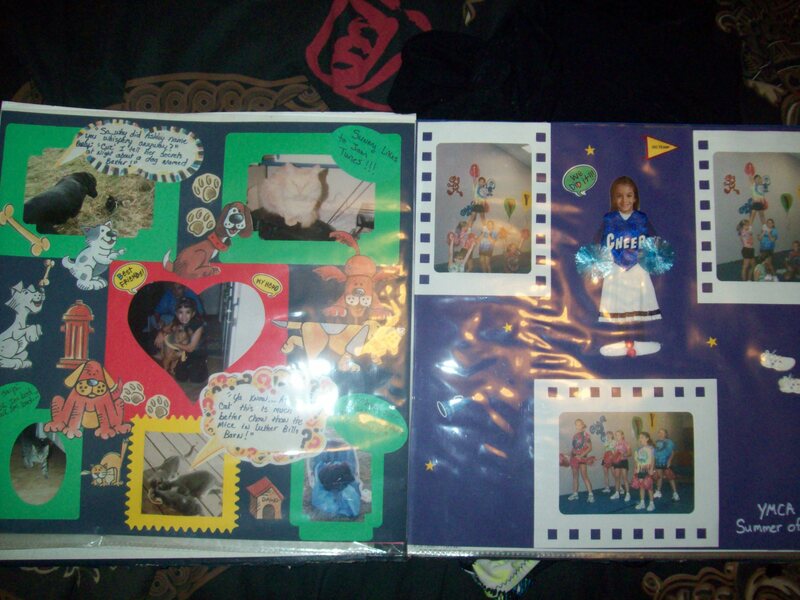 Some people actually make a living putting together professional looking scrapbooks for others. Bah humbug I say, do it yourself! It may not be coffee table elegance, but the memories creating it are almost as good as the memories you are putting in it! Another cute idea is bronze baby shoes. You can get them on a plaque with a photo or just get the shoes done. I think this is a particularly cute way of preserving the memory of your babies adorable little pitter-pattering feet! How about a memory quilt? I am itching to make one of these. Since I don’t know the first thing about making quilts, I would have to take a class. I think it would be very cool to have one made out of all the old t-shirts from sports the kids were in, bands they liked, etc. It would also be neat to have a photo quilt with vacation pictures! I’ve also seen some pretty off the wall memory keepsakes. For example a woman who saves hair from her kids haircuts, weaves it into a braid, and uses it to hold hairclips and barettes. Some parents even make jewelry out of their children’s teeth! I’d love to hear how others preserve memories! Posted by Createityourself on July 17, 2012 in Project Center, Uncategorized and tagged baby book, bronze baby shoes, crafts, diy, memories, photo, pictures, quilts, scrapbook. Having grown up with depression era parents we still have around these type of memories. 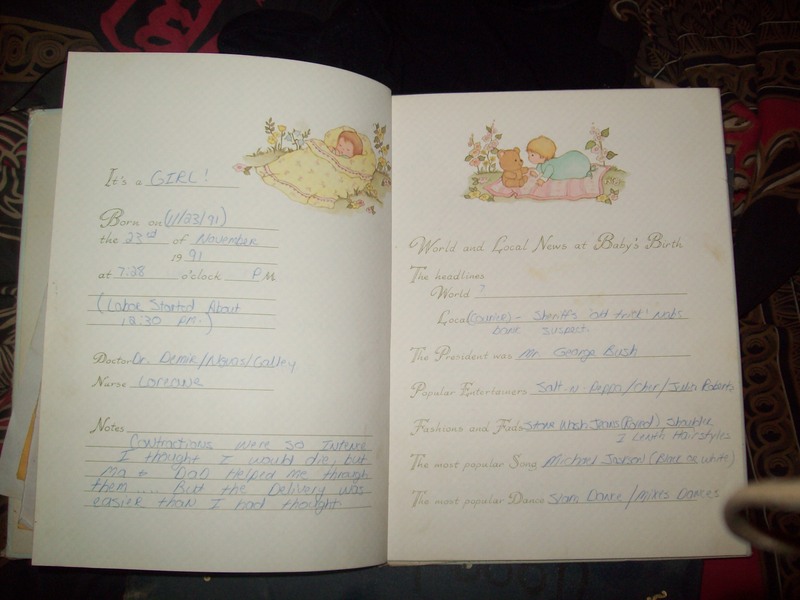 I love to look at the old photos and find the old recipes and even the old death notices tucked away in the scrap books. Remember the autograph books from elementary school days? What a find to read one of those too. I just read some of my great grandmother’s diary from the 1930s ( heaven help the one that finds mine some day,,,lol.) A great post that stirred up some great memories!! My favourite things in the suitcase were all my stories about cats. I think I wrote a story every day lol, and a book on animals in nature that my brother had defaced with speech bubbles and rude talk haha. He got in so much trouble but it was too funny – there was a picture of a fox sniffing in the dirt and the speech bubble said “now where was that poo I did the other day”…oooh 9 year old boys. I laugh about that still, it’s the funniest naughty thing we have!